It’s that time again, whether you are a therapist, teacher or parent it’s time to start thinking about getting ready to head back to school. So, what are some of the things you’ll need for your OT iTool Kit?? 1. One of the first things that I think of when deploying devices that have to be mobile and have parts such as cords, ear buds and chargers revolve around keeping all the stuff together and reducing the snarly mess of cords that ear buds can create – ooh, I hate that! 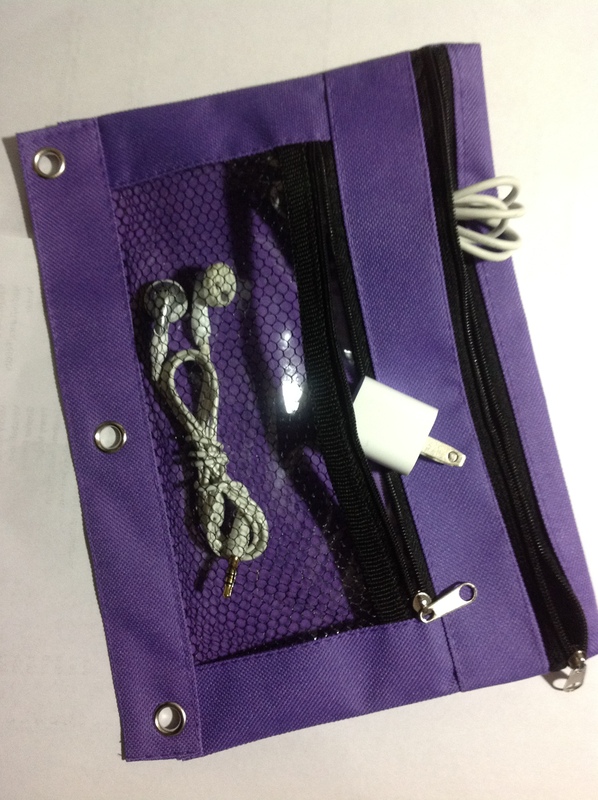 AppleCore Cable Organizer – Comes in three sizes that can handle ear bud cords, charging cords or standard appliance cords. They typically come in multi-packs, although my love at first sight experience found them sold singly. Applecores keep my cords and my blood pressure in check. Gear Tie – I also found these cord organizers/ties at Amazon. They hold firmly and were inexpensive. I do suspect these cord ties could easily be misplaced – but they work! Here is a life saving cord trick as found on Lauren Enders Pinterest and originally posted on B-Laude-de. This should probably be a part of life skills curriculum! Cool, eh? Works too! 2. Second thing needed would be a place to keep all of the cords, ear buds, charger, cleaning clothes, styluses or other small accessories. In my cheap, penny-pinching mindset, I headed to the Dollar Tree to find pencil cases to keep all the small stuff for the iPads (and other equipment) together. Not fancy but doable, I purchased these $1.00 pencil pouches with two zippered pockets. This has worked great for not only the iPad but use them for Echo Pens and ear buds, Sansa MP3 players, iPods and ear buds or styluses. Works great! 3. Third is a cleaning cloth. Found at The Dollar Tree, Target, Menards for around 1.00/piece, these microfiber clothes are washable and work great to get those smuggy finger prints off your tablet screen. Cleaners are also available for iDevices, such as Anti bacterial cleaners from Zagg ZAGGFOAM or Klear Screen iKlear for under $10.00 for a bottle. 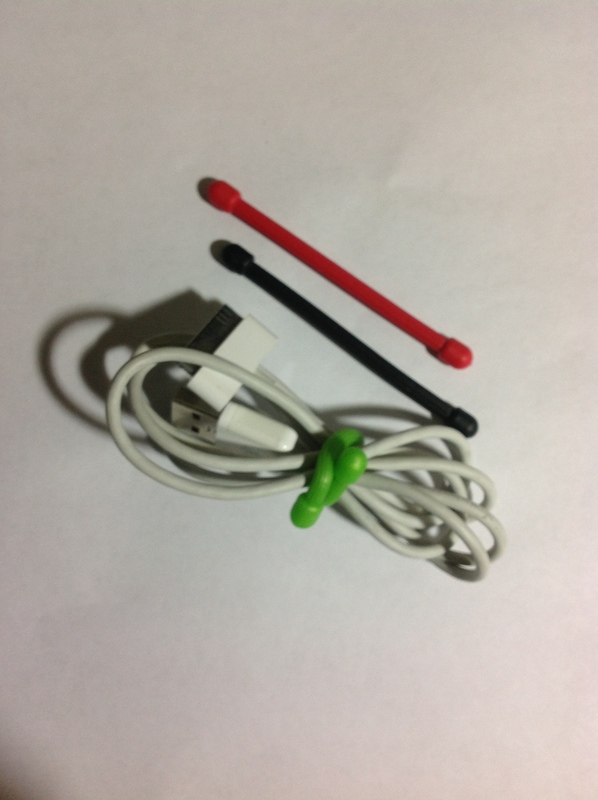 These items are for both iDevices and Android and will help you get your OT iTool Kit and you ready for school. This entry was posted in Accessories, Android, iPad, iPhone, iPod, iPod/iPad Accessory and tagged accessories, App Review, iPad, iPhone, iPod, occupational therapy. Bookmark the permalink.